With surveying we can ensure accurate site setting out of property, from swales and drains, dams and ponds. You can learn everything you need to realize earthworks on your site – and discover the many benefits doing so brings to the soil, plants, animals, and you! Discover how to analyze, plan, create and plant your earthworks to make healthy ecosystems and preserve precious water. Using all the latest modelling and processing software we can deliver, teaching our surveys in digital formats that are specific to our clients requirement. Consider how water earthworks can provide cultivation opportunities! Learn about constructing a earthwork holding water bodies and the importance of water and nutrient cycle. Understanding the cycle of life to help design a return surplus. Using water to equalize fertility, and applying liquid feed is the most effective way to replace or maintain fertility. This session is about liquid feed, bio-fertilizer and the anaerobic digesting process. Community topics covered include trees soil, water and a practical permaculture implementation exercise. Celebration of the Tree of Life and how it affects our Ancient Culture. 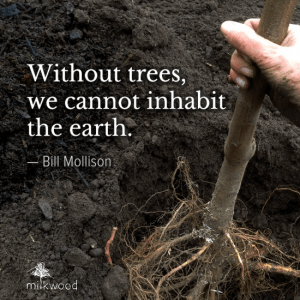 Trees and how trees affect life on our planet. This course gives you a comprehensive guide to the various forms of earthworks that can be excavated on a permaculture site to help capture, store and channel water that comes onto your property. We are a team of experienced and trusted land surveyors working in the civil engineering and land surveying as Property Services/Permaculture Designer and Teachers. From swales and dams to drains and ponds, you can learn everything you need to construct earthworks on your site – and discover the many benefits doing so brings to the soil, plants, animals, and you! Discover how to analyze, plan, create and plant your earthworks to make healthy ecosystems and preserve precious water.